Right on the westernmost border of the Sierra Morena in Andalusia, only one-and-a-half hours from Doñana, lies the vast area called Sierra de Aracena y Picos de Aroche (Huelva province). Its 300,000 hectares take in several different sorts of Mediterranean landscape, such as rivers fringed with Oleander and Bushweed, leafy oakwoods, Mediterranean heaths, its trademark Chestnut woods, well-conserved riverside copses and vast dehesas that serve as perfect examples of what we call today the “sustainable use” of our natural resources. Nature lovers are spoilt for choice in the Sierra de Aracena y Picos de Aroche. Ideally we should just relax and give our curiosity free rein, trying to learn from every experience that might come along, ranging from the tiny file of ants marching along the forest floor to the huge Cinereous Vulture soaring overhead. Other fascinating sights and sounds await us round every corner, like the sinister beauty of the Fly Agaric, the intricate blooms of orchids, the mantises and their lethal embrace, the night-time choirs of frogs and toads, a fleeting Mongoose flashing by, millenary rocks weathered to incredible smoothness, the delicately tumbling leaves of a Chestnut Tree in autumn, the staggering beauty and power of the Nightingale’s song in spring. This book, designed to be useful both for expert naturalists and rank beginners, pools 17 nature-watching outings of different types (car rides, walks, family-friendly strolls and fixed lookout points) and different degrees of difficulty. 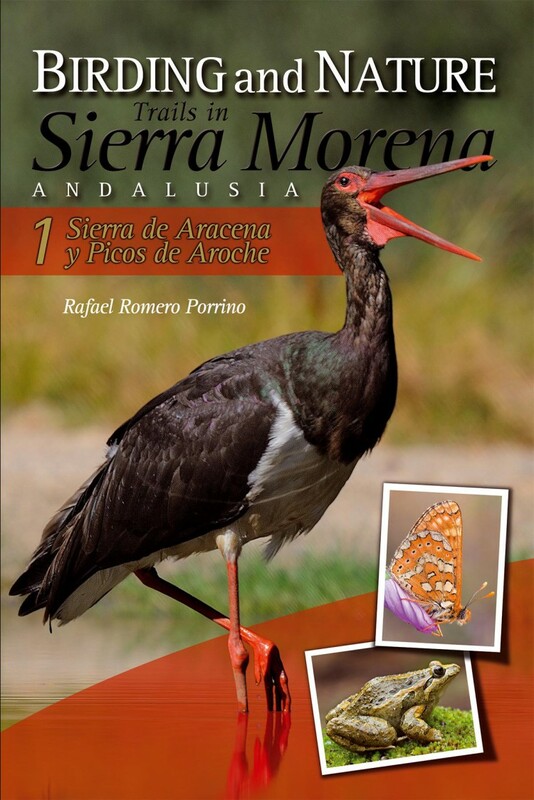 Between them all they usher us into the wonderland of wildlife, unspoilt countryside and local traditions that is Sierra de Aracena y Picos de Aroche, including such standout species as the Black Stork, the White-Rumped Swift, the Iberian Chiffchaff, the Rufous-Tailed Scrub Robin, the Short-Toed Eagle, the Portuguese Helleborine, the Spanish Funnel-web Spider and even some endemic freshwater fish species.